Despite that it's a competitor to Google, Microsoft has published a handful of Android apps to the Play Store. After allowing just any Android user to give a spin to its Next Lock Screen, its Office suite of apps, its voice assistant Cortana, and an Android launcher, the Redmond-based tech giant is now entertaining the idea of releasing its home-developed dialer app for Google's platform. Dubbed Dialer, the app is said to be developed by the Microsoft team responsible for Skype and is currently being field-tested in India. Judging from the screenshot we laid our eyes one, Microsoft Dialer looks just like your average Android dialer app if we've ever seen one. Still, Redmond's solution might come with a few interesting features: it won't be merely a phone replacement app, but will also enable users to call other parties via cellular networks, 2G and 3G ones included. The other party will also need to have the app installed for this feature to work, of course. If they don't, you can still call them the old-fashioned way. 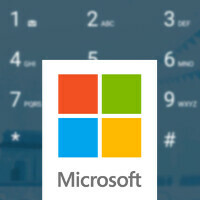 Additionally, Microsoft Dialer will allow its users to search for people's or nearby's venues phone numbers and give them a call from within the app. You will also be able to block spam callers on the fly, since the app will be fetching real-time information about the person calling you. The app is allegedly coming in the first half of December 2015, but rumor has it Microsoft will be releasing a public beta sometime next month. I personally think what they offer with WinMo 10 is too valuable to drop altogether, their timing is just off: they were too late to the current smartphone game, and it's still too early for the "full-PC" aspect to really matter. I could see them keeping it dormant for a few years (in active development but not marketed to the general populace) until hardware advancements make it feasible for Contuum to have a major impact. I agree....they were right there with the HTC HD2. Dont know what happened but they should have never let Android get so popular. Google took the MS playbook and outdid MS with it. The HD2 and Droid 1 launched at damn near the same time. MS was right there....but still missed the boat. Even with the big screen phones. Its amazing when you think about it. What PA horrible writing skills fail to mention is that the 'rumor' of this app also comes with the info that it will head to Win10 as well. Might replace my horrible Lenovo K920 default dialer with this if its prove to be better in handling between IDD calls and displaying its contact ID. K920 is the first phone i use that has such issue, no problem with my Samsung devices. Hoho, this could be their gateway to making Skype on Android similar to what Facetime on iOS does and what Skype on Windows Phone does; transition from audio call to video call with the tap of a button...neat idea, but it better not be demanding I put my non-Skype contacts in the hands of Microsoft. That can be easily avoided by giving the option to link individual Skype contacts.